Remember Mr. Bluebird that you met the other day? He’s been fiercely protecting his nest box for his lady, along with sharing the mealworms that I put out for them. Yesterday, I decided that it was time for a house visit, and knocking in the front door I entered. And this is what I found! I wanted to learn more about bluebirds, nesting, feeding them, etc. and I stumbled across a wonderful website sponsored by Cornell University. Nestwatch.org is a place where you can become a certified nestwatcher by reading a short tutorial, then completing a short quiz. Here you can record your nest sightings, and how things progress through the family’s growth. It’s teaching me to be patient as one should only visit a nest every third or fourth day. And each visit can’t last more than a minute. Knocking politely before entering is important too. I’m wondering if the little lady may lay more eggs and only time will tell. I look forward to sharing the story of Mr. Bluebird and his family throughout the next few months. This being said – it’s time for a contest. Actually, it’s long overdue. The prize? A 8 x 10 print of Mr. Bluebird for your enjoyment. What is the contest? 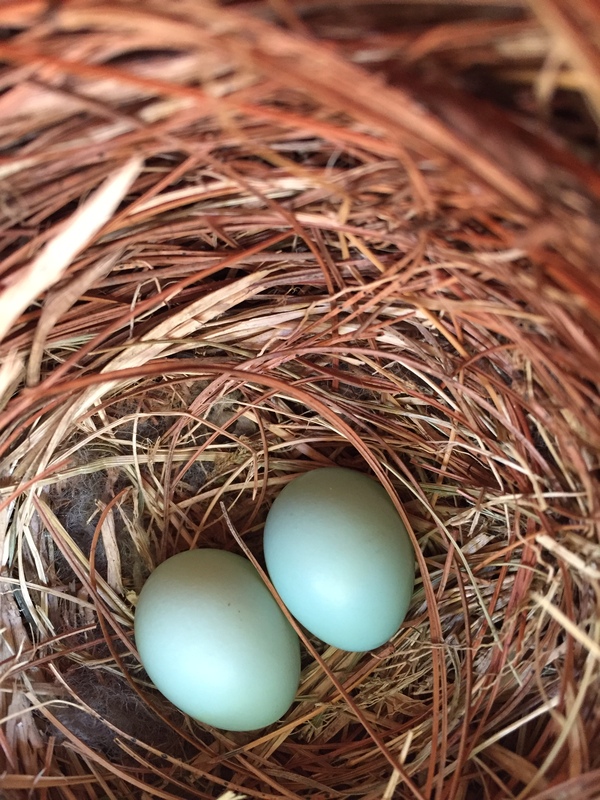 Find the best names for Mr. and Mrs. Bluebird. Ready..set..go! Thank you so much for sharing this with your readers. Also for a great name suggestion. Me too !! two weeks Andy. A boy Beauchamp (pronounced bee-chum) a girl Natalia. Nicknames for them. Beach & Talia. Ok, this were the names I used for the contest. Thanks again for participating. Much appreciated. Looking forward to the next instalment! Thank you so much, you are too kind. I can’t wait to share the story with you. I’m so proud! I hope we’ll be seeing little ones soon. I love watching the birds bring their kids to the feeders. How about Mother Kali and Lord Shiva?? Hi Ilex ! Thank you so much for the name suggestions. Certainly included them in the contest. I can’t wait until the babies join us. Wow what a great thing to do, I’m looking forward to following what happens. Thanks Leanne ! And yes..I owe you an answer. Great news indeed! As for the names for Mr and Mrs Bluebird, how about Azur and Celeste? Both are related to the colour blue! Love these names Fatima ! And I’m not the only one. I’ll make the winner announcement tomorrow. Thanks Sylvia – look forward to sharing the story with you too.